Name that Carol will challenge your ability to remember popular Christmas carols with only a three or four word phrase from the songs. Have you ever found yourself trying to remember the title of a familiar song? It's on the tip of your tongue. You know a few words ... but ... you just can't remember the title. This game is based on that frustration. At your Christmas party, divide your guests into teams or let them play individually. If playing individually you may want to give each correct answer a chocolate bell or some other Christmas candy. 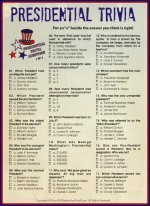 You could also print the clues and give a time limit for teams and individuals to fill in their answers, but I find the more interactive game play better in most cases. 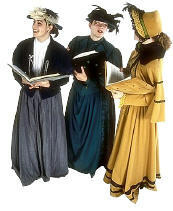 Note: Avoid singing the words unless no one is able to come up with an answer. 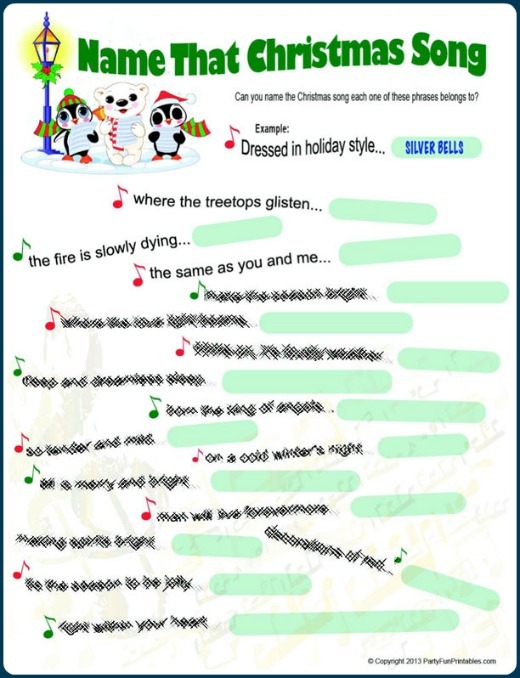 NEW Printable Name That Christmas Song Game by Party Fun Printables.